I can’t be the only one that loves these more for the little intro stories of Gabe-wisdom than the actual analysis of the episodes. 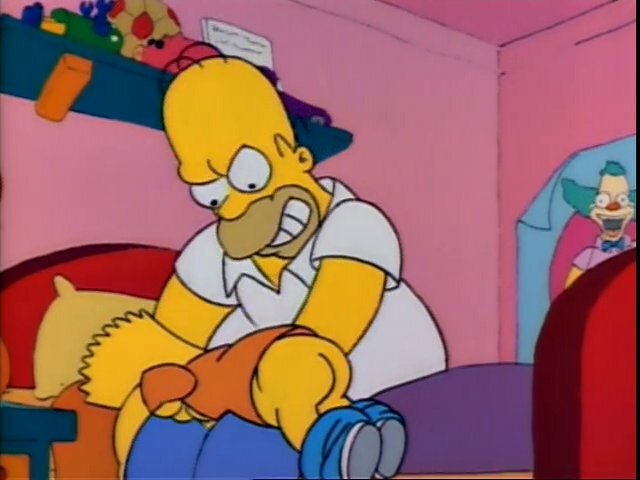 This episode makes me sad chiefly because of Homer’s fake-out death scene but also because I never had anyone show me how to shave. Thankfully I didn’t need the lesson, due to almost no facial hair growth, but still. As far as jokes, I’m quite fond of the harmonica guy in prison saying he’s in for atmosphere. Little things like that always make me chuckle. It was on the list but got dropped because it’s so isolated. I like the Burns one as it adds to two characters while still being ridiculous.